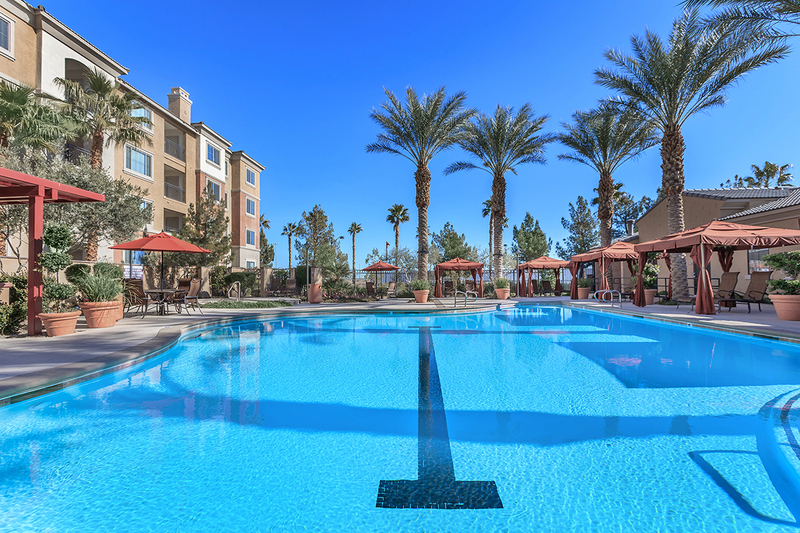 Palacio is a colorful and modern apartment community located in the exciting city of Las Vegas, NV! 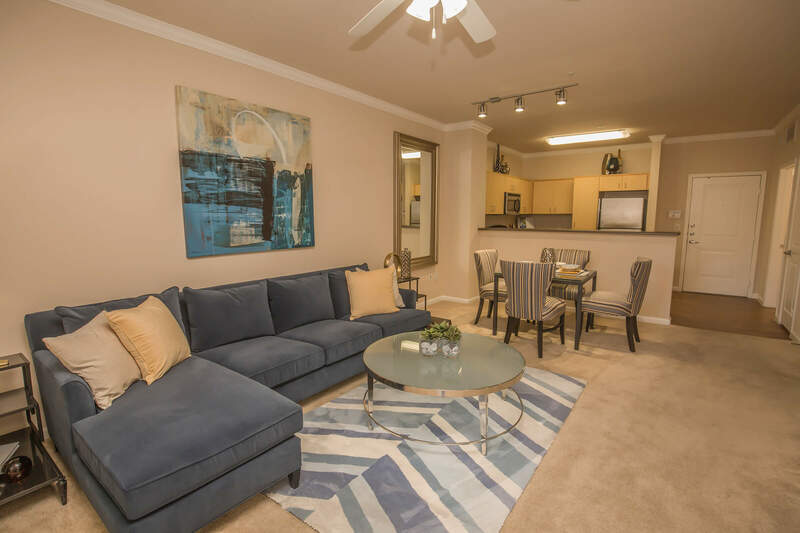 Our apartment homes offer a plethora of lavish amenities such as high ceilings with crown molding, a breakfast bar or kitchen island, a generous pantry with adjustable shelves, granite inspired vanities, and spacious walk-in closets. 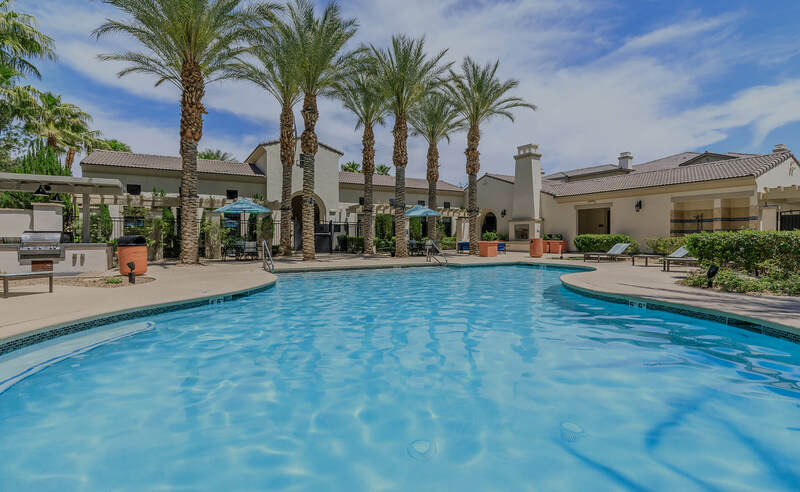 With a spectacular clubhouse for entertaining, and a shimmering swimming pool that is great for keeping in shape or just relaxing with the family, you are sure to find activities around the community that will fit your lifestyle and interests. 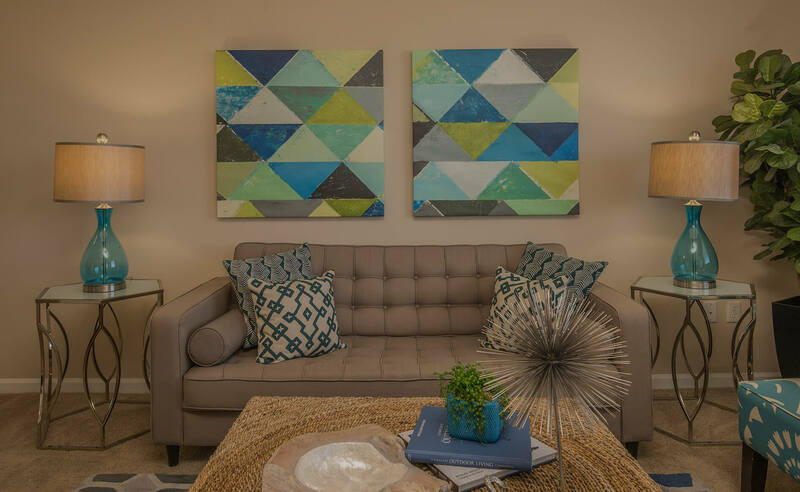 Call today to begin your journey of making Palacio your new home! Updater Partner - We make moving easier! 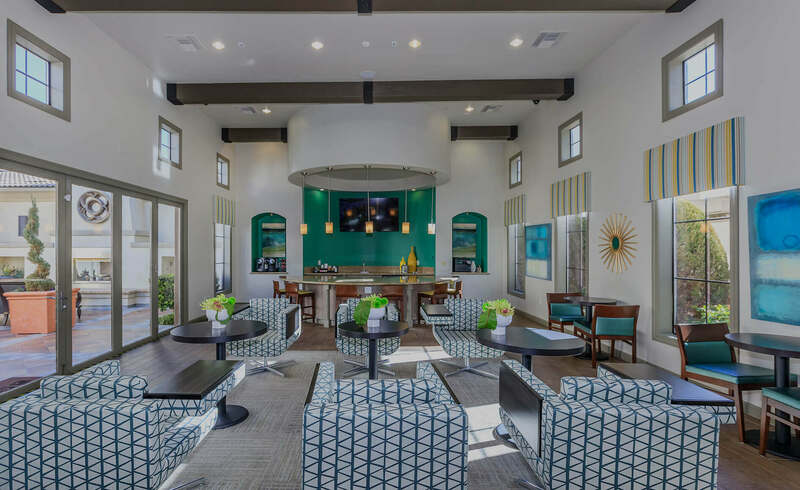 As one of the few pet friendly communities, we proudly allow cats and dogs here at Palacio. 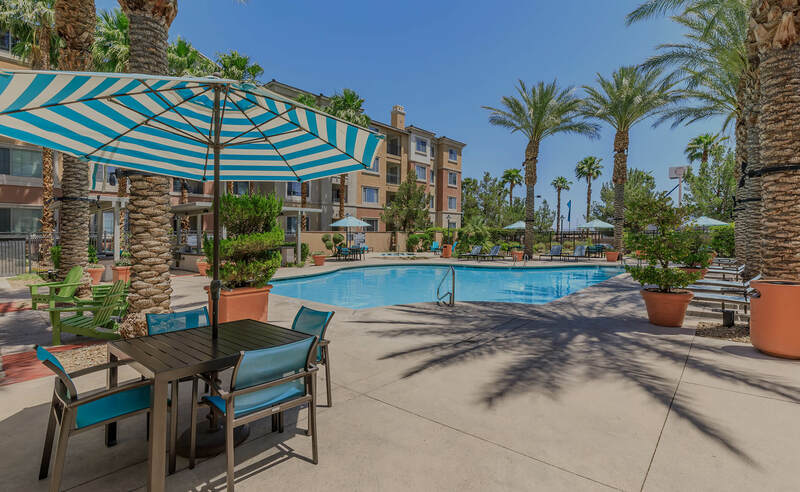 Now your pet can relax by your side and enjoy the comforts of your apartment home. Two pets maximum with a limit of 70 pounds or less. Breed restrictions apply. For 1 pet, $0 Pet deposit / $300 non-refundable Pet Fee / $30 monthly pet rent. For 2 pets, $0 Pet deposit / $500 non-refundable Pet Fee / $50 monthly pet rent.